There's a new Honor smartphone coming soon, as the Chinese company is gearing up for an official announcement scheduled for October 11. The Honor 8C will be introduced in China in just a few days, but we already have a lot of info about what it has to offer in terms of specs. Although the phone hasn't yet been announced, it's already for pre-booking on Honor's official store in China. Customers will have to pay the equivalent of $14 to be sure they will be to pre-order one once Honor makes it available. 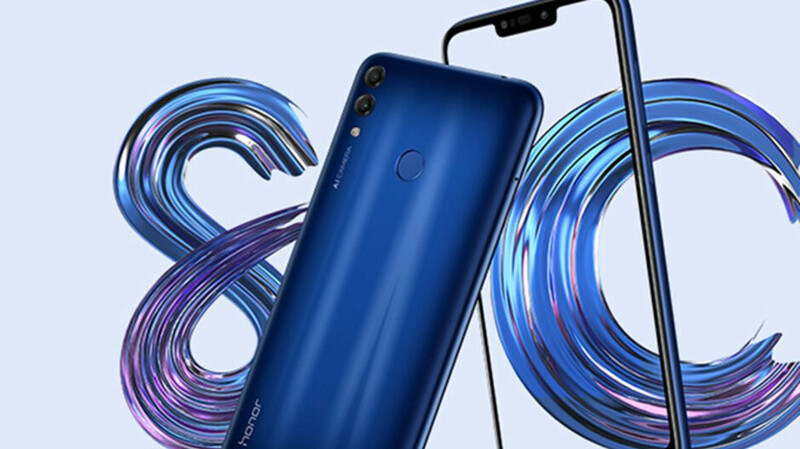 As we've mentioned earlier, the Honor 8C is a pure mid-end handset powered by Android 8.1 Oreo, but, more importantly, it will be the first smartphone equipped with a Qualcomm Snapdragon 632 processor, a chipset built on the success of the Snapdragon 625 and 626 CPUs. The phone boasts a large 6.25-inch display with a notch at the top and 19:9 aspect ratio, as well as a massive 4,000 mAh battery. It comes in two versions based on the amount of memory: 4GB RAM+32GB storage and 4GB RAM+64GB storage. Both variants feature a dual rear camera (13MP+2MP) and an 8-megapixel selfie snapper. We're not yet sure how much it will cost, but we won't have to wait too long to get that information since the phone will go official in about one day.